1) First of all, then, I urge that supplications, prayers, intercessions, and thanksgivings be made for all people, 2:1. 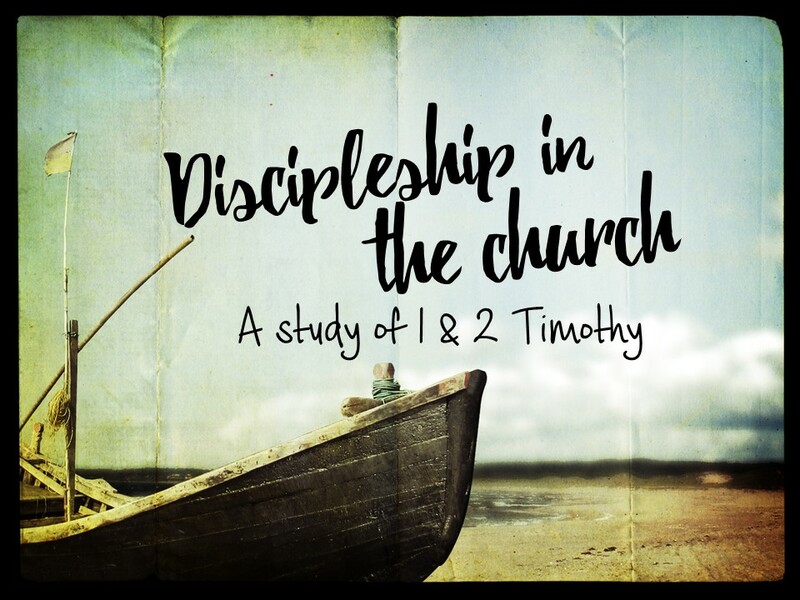 In light of Paul’s charge to Timothy in chapter 1 to stop the false teachers and teach gospel-centered truth, how does this connect with Paul’s urging to pray for all people? Why does Paul think prayer is so important? How can we be more consistent in prayer? 2) for kings and all who are in high positions, that we may lead a peaceful and quiet life, godly and dignified in every way, 2:2. How does Paul direct them to pray and for what reason? In what ways is it obvious we need to obey this text in our day? 3) This is good, and it is pleasing in the sight of God our Savior, who desires all people to be saved and to come to the knowledge of the truth, 2:3-4. Paul explains further why we are to pray for rulers so that we may lead a peaceful and godly life. What does he say? Since we know that all people are not going to be saved (4:1; 5:24; 6:10; 2 Thess. 1:6-9; John 5:28-29; Matt. 25:41), what is Paul emphasizing in the context of this passage by saying God desires all people to be saved? 4) For there is one God, and there is one mediator between God and men, the man Christ Jesus, 2:5. In light of the false teaching Paul talks about in chapter 1, why does he stress that God’s way of salvation for all people (2:4) is through the “one mediator”, Christ? 5) who gave himself as a ransom for all, which is the testimony given at the proper time, 2:6. What does it mean that Christ gave himself as a ransom for all? Paul says this testimony about Christ giving himself as a ransom is given “at the proper time” in God’s redemptive plan. In light of the gospel mission assigned to Paul (and the church), why is it important to understand where we are at in God’s plan of redemption? How does this expose the error of the false teachers (for example, on their misuse of the law, 1:6-9)? 6) For this I was appointed a preacher and an apostle (I am telling the truth, I am not lying), a teacher of the Gentiles in faith and truth, 2:7. How should we be praying and working for the spread of the faith and truth of the gospel?